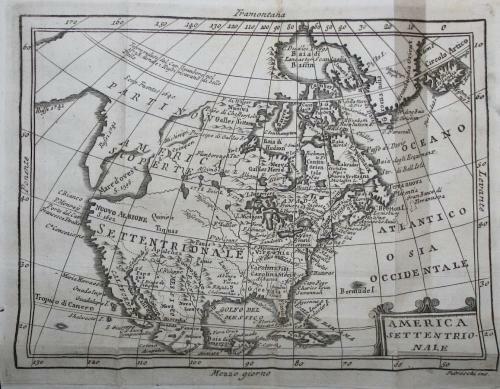 A charming small map of North America from "Nuova Geografia...." that is notable for the 'Mare d'ouest' in the north west. Published by Zempel in Rome. The condition is good with original folds and minor toning and some minor margin spotting that will be concealed if framed.